ODDSSERVE, e2’s proprietary ad system, has now been extended by a new spin-off product. 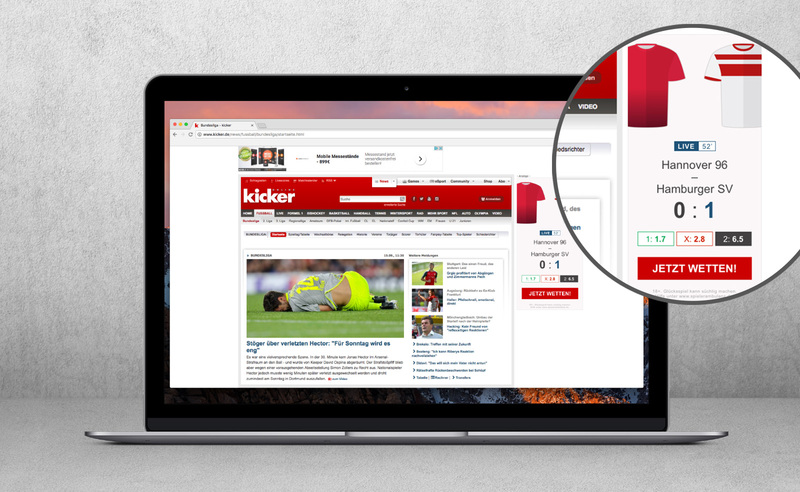 As a first step e2 could convince kicker.de – the biggest german-speaking sports media – for the oddserve ad-block product (as an industry-exclusive solution). 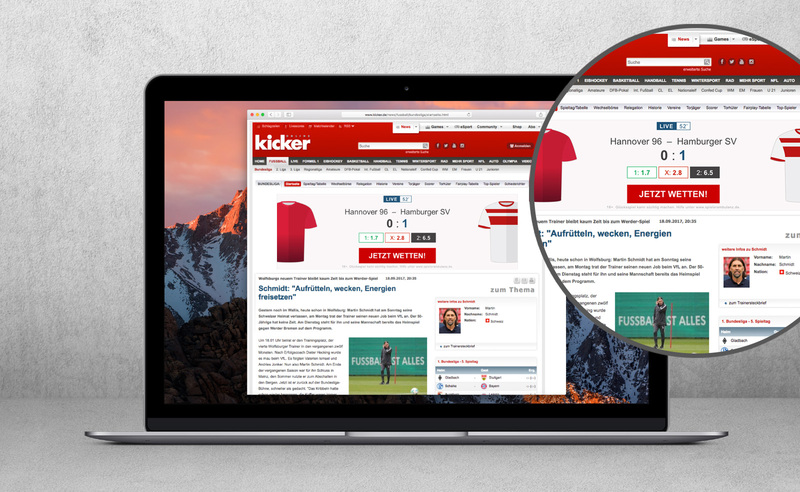 With the aid of third-party technology, AdBlocker users can be identified on Publisher websites and addressed with individually-designed promotional media. 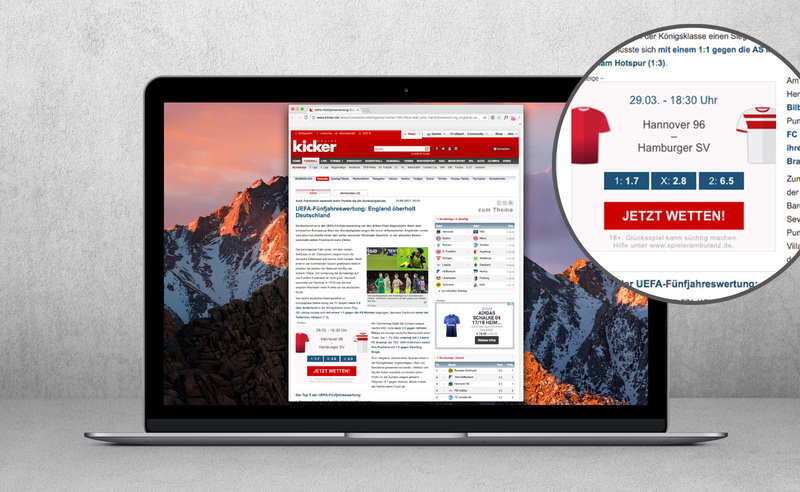 These media reflect the look and feel of the respective Publisher website and transmit the current top league games with the appropriate pre-match and live odds.